The blog is dedicated to showcasing the Staff Recommended books available at AllYouCanBooks.com. This post, we explore one of the greatest novels of all time. Written by American author Jack London, White Fang is a unique story that details the life of a halfbreed wolf/dog in the Yukon during the Gold Rush. Told from the perspective of this animal, White Fang remains caught between an untamed existence in the wild and as a subservient member of a group of Native Americans, then later to lead a cruel life as a prized dog fighter. In the midst of a fight that he is sure to lose, and be killed, a gold hunter comes along and saves him. The remainder of the story is an account of how this gold hunter attempts to tame White Fang and help him recover from his cruel life. 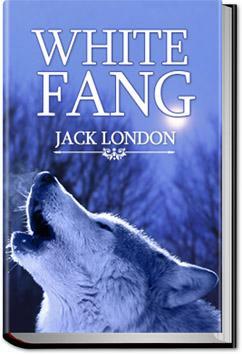 White Fang is one of Jack London’s most prized novels (the other is The Call of the Wild). The novel has been turned into movies television shows a number of times and remains a favourite for children and adults interested in nature-based stories.